Posted on 15, June 2016 by EuropaWire PR Editors | This entry was posted in Business, Germany, Internet & Online, Investment, Marketing, News, Small Business, Technology, United Kingdom and tagged ad-blocking, Arts Alliance, Brent Hoberman, convertible debt, Daniel Cooper, data privacy, EIS, enterprise investment scheme, entrepreneurs, EU GDPR, Fiona Chow, Founders Factory, Founders Forum 2016, Growth Street, Henry Lane-Fox, investment, Jim Meyerle, LoveFilm, Nicholas Oliver, Nick Robertson, people.io, Sean King, seed enterprise investment scheme, SEIS, Seven Publishing, Thomas Høegh. Bookmark the permalink. 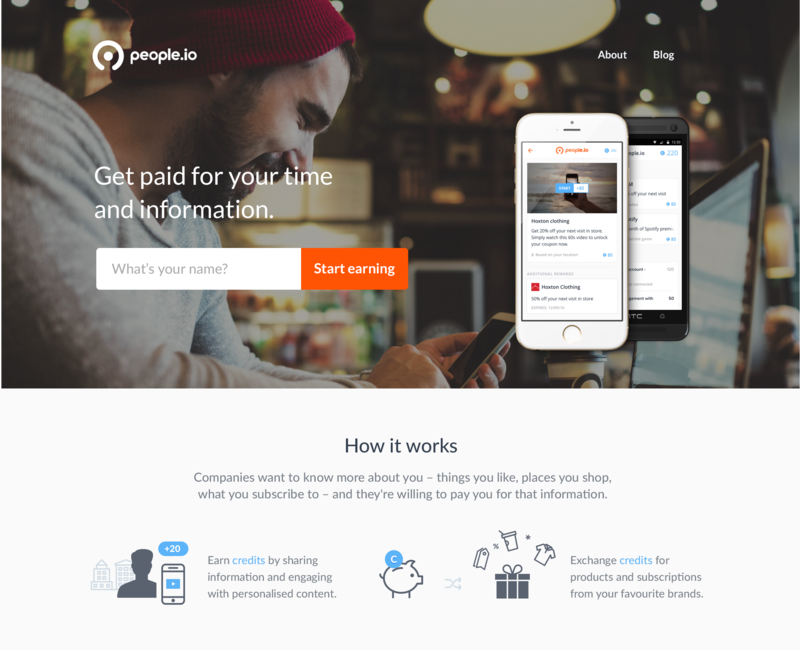 LONDON, 15-Jun-2016 — /EuropaWire/ — people.io – the service that pays consumers for dynamically licensing their data and attention to brands, has completed its second investment round and has now secured more than £600k since its launch in Q1 2016 with a mix of SEIS, EIS and convertible debt. Since UK launch was announced in January 2016, people.io has enjoyed great success with more than 3000 beta users registered for the service, helping to refine the user experience ahead of a nationwide roll out later in the year. Confirmed investors are drawn from the finance, publishing, telecoms, media and insurance worlds and include some of the UK’s most successful entrepreneurs. Investors in this latest round include Thomas Høegh (founder of Arts Alliance, LoveFilm and Growth Street), Nick Robertson (founder of ASOS), Sean King (founder of Seven Publishing), and Founders Factory (co-founded by Brent Hoberman, Jim Meyerle and Henry Lane-Fox). This follows an announcement last month of a strategic partnership with Telefonica-backed accelerator, Wayra Deutschland to enable a launch into the German market by Q3 2016. The industry’s renewed support and belief in the consumer-centric model championed by people.io can be seen through its invitation to present as one of the Unilever Foundry 50 at Cannes Lions and as a ‘Rising Star’ during Founders Forum 2016. This support comes amidsts rapid industry shifts resulting from the growth of ad-blocking and the recent announcement of EU GDPR. Daniel Cooper, a leading EU data privacy lawyer and Partner at Covington has been acting as an Advisor and Counsel to people.io throughout its expansion to ensure the right balance can found between current regulation and consumer empowerment. Funds from the latest investment round are earmarked for product development in readiness for a national UK roll-out in Q3 and a beta launch in Germany before the end of the year. Ahead of consumer pilots throughout 2016, people.io is actively seeking strategic and commercial partners in the UK and Germany. 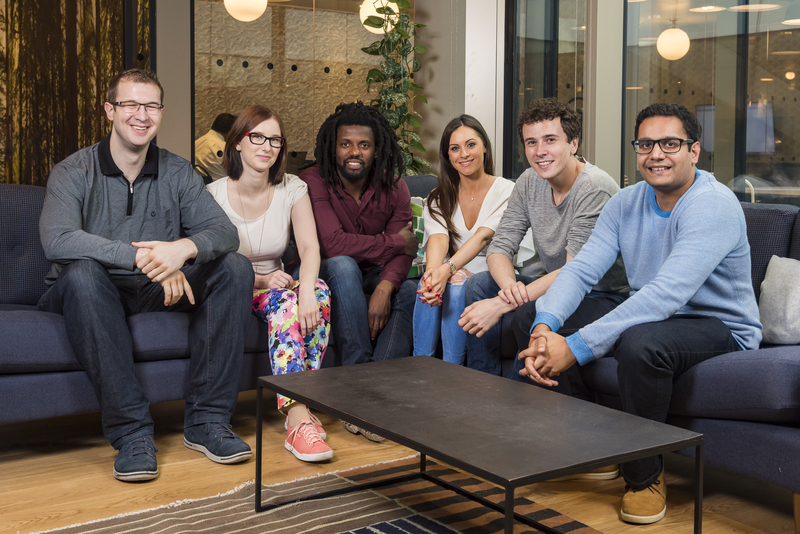 Since being founded in 2015 they have been through Startup Next (the #1 pre-accelerator run by Techstars), completed two investment rounds and are now part of Wayra Deutschland (Telefonica’s global accelerator) and Founders Factory, with plans to launch in multiple EU markets by the end of 2016.